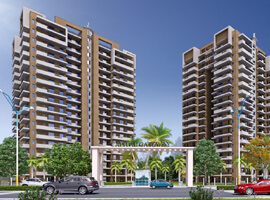 Experion Developers Pvt Ltd on Dwarka Expressway.The project is spread over 15 acres of lush verdant land offering 811 units with the choice of 2, 3 and 4 BHK luxurious apartments and Penthouses.The handpicked location, temporary style, architectural quality, specific care in designing and construction makes this property a perfect investment and accommodation option for people who are looking for value for money. 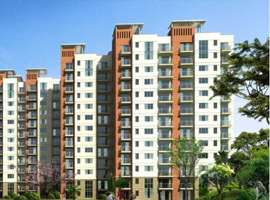 Experion The Heartsong Gurgaon is located at one of the highly desirable residential location, yet lies within close reach of all the crucial points of business and recreational interest in Delhi NCR.The Project is targeting the famous working class of Gurgaon & NCR belt which has high aspirational value who are looking the International living @ affordable prices. Experion “The Heartsong” is blessed with the picturesque location, easy connectivity and the designed features, when added ensure that you are investing in a perfect property, which can become your dream home with all the features and attributes.